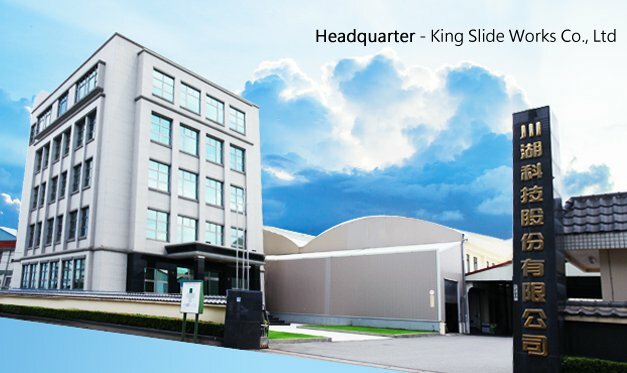 Founded in 1986 as a manufacturer of furniture hardware, King Slide has developed advance material process, surface treatment technology and integrated production design with tooling and machinery. With years of continuous innovation and development, King Slide is now a successful internationally renowned OBM supplier of green products ranging from server rail kits, industrial rails to furniture hardware. Our outstanding quality and easy-to-use designs have won us a great industry reputation among world server and network leaders. King Slide’s robust in-house design capabilities have qualified us as an accredited supplier in the furniture hardware industry, valued by many leading companies in high-end furniture, kitchen and household appliances.